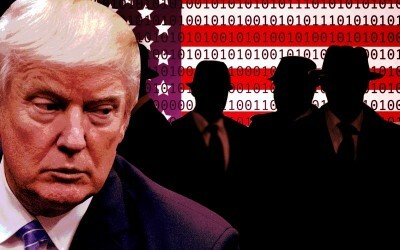 Late last week, the Washington Post reported that President Donald Trump will end covert support of militias attempting to topple Syrian President Bashar al-Assad. I spoke to Rick Sterling, investigative journalist for Consortium News and member of the Syria Solidarity Movement, about the report. Ann Garrison: Rick Sterling, what’s your first reaction to the Washington Post’s claims? 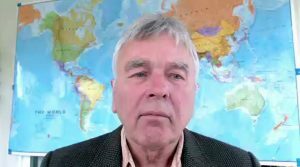 Rick Sterling: If Trump orders the CIA to stop training and equipping extremists in Syria, that will be a good thing. We will have to see if this is implemented because sometimes they say one thing publicly but do other things secretly. For example, starting in late 2011, the CIA was coordinating the shipment of weapons from Libya to the armed opposition in Syria—in secret. AG: The White House has refused to confirm the Washington Post report. If it is true, why do you think Trump won’t confirm? RS: This is partly reflective of the power elites’ internal battle over foreign policy and whether Trump will actually move away from the aggressive “regime change” foreign policy. Those who favor escalation in Syria dominate discussion in the Washington Post and on CNN and MSNBC. AG: And if this is true, won’t Trump be keeping at least one of his campaign promises? RS: Yes, Trump would be taking a step that is in keeping with his campaign promise on Syria. It should be popular in the US because it’s a move away from war, and the CIA has wasted billions of dollars that have effectively ended up supporting Al-Qaeda/Nusra/HTS. Jabhat al-Nusra was the official branch of Al-Qaeda in Syria, but now it calls itself “Hayat Tahrir al-Sham” (HTS). AG: What’s your response to corporate press and politicians calling this a concession to Russia? RS: The anti-Russia McCarthyism is so extreme that Trump seems almost afraid to announce the termination of the CIA program. Neoconservatives are framing the decision as a concession or even “appeasement” of Putin because they want to continue the conflict. They want to stop Trump from de-escalating tension with Russia and withdrawing from Syria. AG: And what about those who are loathe to acknowledge that Trump could ever make a good decision about anything? RS: Whether it’s Obama or Trump or John McCain, one should evaluate policies and actions and criticize or support them on their specific merits and faults. If Trump is really trying to de-escalate the Syrian conflict, that is a good policy. One can support that and remain critical of his policies and actions in other areas. AG: The one time that corporate press, Democrats (excepting Tulsi Gabbard), and pro-war Republicans have applauded Trump’s foreign policy was when he launched 59 cruise missiles worth $60+ million dollars at Syria over their unproven use of chemical weapons. Your response? RS: The attack on Syria was an illegal act of war without any justification. And there is increasing evidence that the Syrian government was NOT responsible for the chemical weapons deaths. The fact that western media congratulated Trump on that illegal action shows what their true goals are: to continue US “regime change” foreign policy and specifically to attack Syria no matter the cost in blood and treasure. AG: Aren’t the Syria Solidarity Movement—and any of the rest of us who think that the US should stop arming terrorists—certain to be branded “pro-Trump” and “pro-Putin”? RS: Yes, but that should not stop anyone. The aggression against Syria needs to stop—that is in our American interests as well as those of all people in the Middle East. Tulsi Gabbard’s “Stop Arming Terrorists” legislation is common sense and should be supported. AG: And what can the anti-war community—insofar as it exists—do to encourage Trump in this one policy from outside the power elite argument in Washington D.C.? A bill creating new sanctions against Russia, Syria, and Iran got such overwhelming support in Congress that President Trump doesn’t dare veto it because Congress has the numbers to override a veto. Only Rand Paul and Bernie Sanders voted against it in the Senate, and Sanders said that he voted no only because he supports sanctions on Russia and Syria but not Iran. RS: Again, it’s not about the person, it’s about the policy. People who are concerned about international politics, peace, and justice should be writing, speaking out, and lobbying for de-escalation, and promoting more discussion and negotiation, including with Russia. When Trump encourages this, it’s a good thing and we should do whatever we can to support it. AG: It’s often hard to believe that they give a damn about what those of us out here in the cheap seats think, but if they didn’t, they wouldn’t work so hard to control the narrative. RS: We can all do a little bit, and when more and more people join in, we can make a difference. Just entering the debate changes the discussion. AG: Last question: If Trump really does want to stop arming and funding Al-Qaeda/Nusra/HTS and other jihadist militias, won’t Turkey, Saudi Arabia, Qatar and the UAE step into the breach so they can keep fighting Assad—or the Kurds—with weapons that the US sold them? RS: Yes, all those countries have been funding terrorists in Syria to attack and overthrow the Damascus government. Sometimes they work together; sometimes not. 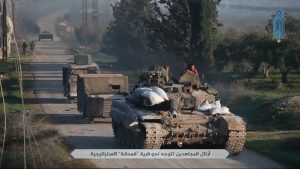 No matter, the Syrian Army and their allies have weathered the worst period and now are on the offensive. The mercenaries are in retreat, and the influx of brainwashed new recruits is drying up. RS: We are in a critical period where the enemies of Syria, including the CIA, may create a false flag incident to provoke and justify a direct intervention by the US, France, and others. Even if that does not happen, the pro-war elites clearly hope to use Kurdish forces to split off eastern Syria and install a puppet government. However, on the positive side, increasing numbers of Syrians who fled abroad are now returning to Syria. The reconciliation program is expanding. These are positive signs. After six years of bloodshed, it’s way past time for the enemies of Syria to stop supporting terrorism and let the Syrian people determine their own destiny. 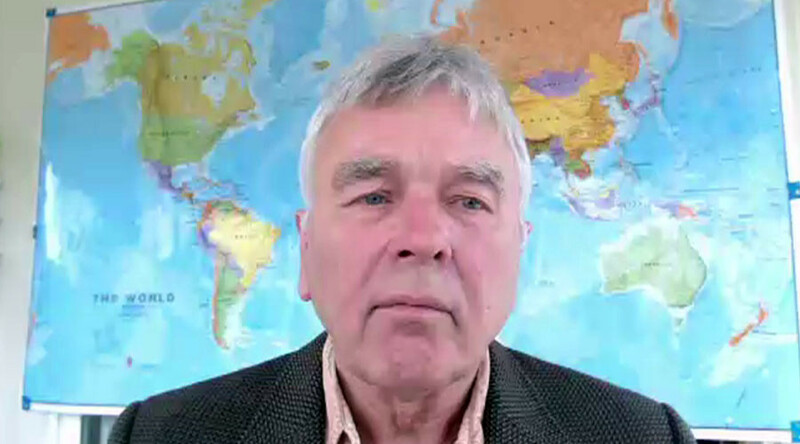 Rick Sterling is an investigative journalist for the Consortium News and a member of the Syria Solidarity Movement based in the San Francisco Bay Area. He can be reached at [email protected].